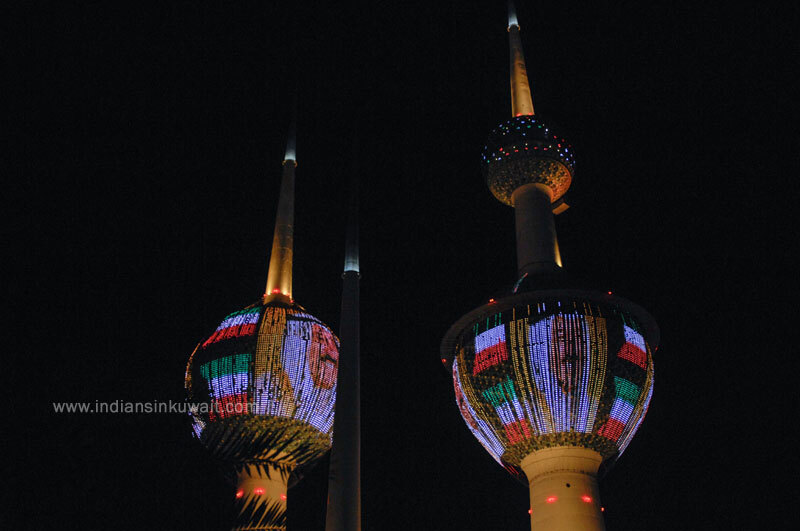 Kuwait Towers glowed Friday evening with delight as the World Bank Group honored His Highness the Amir Sheikh Sabah Al-Ahmad Al-Jaber Al-Sabah earlier in the day. The towers were decorated with expressive glittering images of His Highness the Amir, in a first global honoring of its kind. The atmosphere was glimmering with this honoring in recognition of His Highness the Amir’s role in supporting the global stability and aiding all needy people everywhere. World Bank Chief Executive Officer Kristilina Georgieva announced an award handed to His Highness the Amir in recognition of his role in supporting economic and social development worldwide, and global peace.